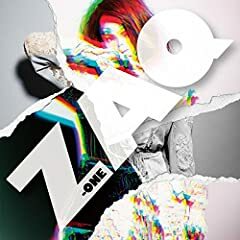 Zone from ZAQ's 3rd album Z-ONE Label : Lantis. Audio CD Release Date: January 29, 2014(JAPAN) 【Lantis Official Facebook】 https://www.facebook.com/lantis.jp?ref=hl. Audio CD Release Date: April 16, 2014(JAPAN) 【Lantis Official Facebook】 https://www.facebook.com/lantis.jp?ref=hl. Audio CD Release Date: January 23, 2013(JAPAN) 【Lantis Official Facebook】 https://www.facebook.com/lantis.jp?ref=hl.